This is not the first time we talk about the typography art. Actually, we have seen so many creative typography designs, such as human typography, insect typography, landscape typography, animal typography or more. 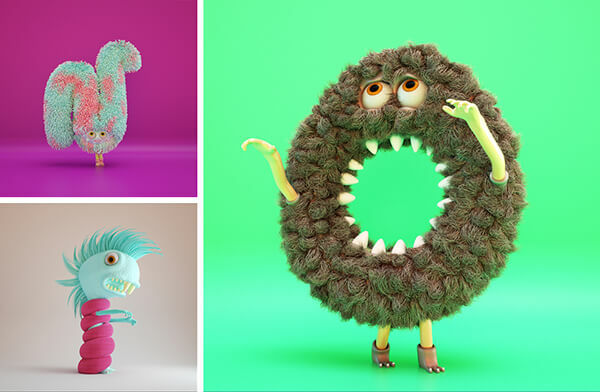 However, we have to admit the Furry Alphabet feature in this post is definitely one of our favorites. 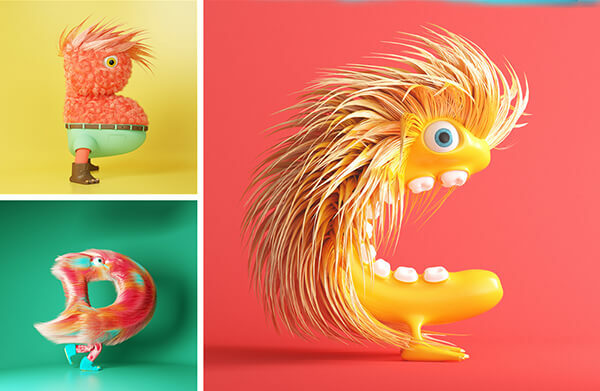 Created by talented 3Dgraphic designer from Paris, France Bernat Casasnovas, “Furry Alphabet” is a series of 3D letters in the shape of cute and funny monsters with tons of hair. 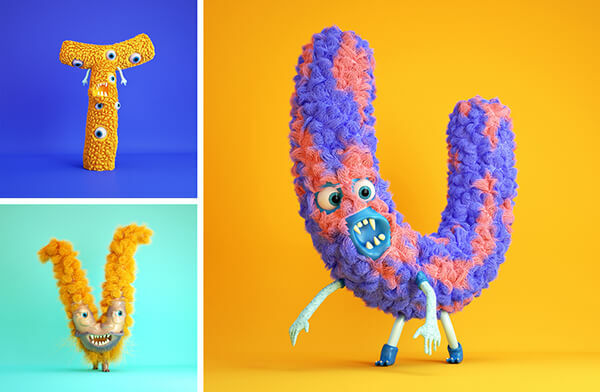 Besides the still graphics, Bernat even created a short animation for each typeface and it is so funny to see those hairy monster letter in motion.